1. For those that might not have heard of you, can you give a short introduction? A: Midland Sparks is my solo project, conceived to showcase the freshest sounds of modern electronica. Treading deep into a multiplicity of genres, Midland Sparks works on a newfangled sound which is contemporary, unorthodox and takes refuge in latter-day bass music. Think lingering bass-lines, sombre yet crisp beats, unstinting atmospheres and floor-rumbling grooves. An unbridled experiment wholly intended on carving out a niche, it is fraught with assorted influences and evolves at every passing juncture. 2. What is the idea behind your name? 3. How and when did you discover Drum and Bass? A: Discovered drum n bass in my school days with Prodigy n Pendulum on the interwebs of course. 4. What do you feel about the Drum and Bass scene in India and what are your thoughts on its evolution? A: I think it’s great. We have a healthy flow of established artists come down and a lot of Indian talent taking it up as well. Since the last few years it’s been evolving like mad with so many new promoters coming up new festivals and events! 5. What is your studio / DJ set-up? A: KRK Rokit 6 Monitors, AKAI APC-20, Audio Technica M-50 Headphones, Focusrite Scarlett 2i4 Sound Card. 6. What can we expect in terms of future releases and what kind of sounds are you looking to produce? A: I’ve been exploring sounds like footwork, jungle n trap a lot lately, so you can expect some hybrid new school bass tunes some time soon. 7. Can you list 3 tunes you are feeling right now (any genre) and give a short reason why? A: Fracture - From Early - Get’s me grooving always. Shlohmo - Emerge From Smoke - Vibes Galore! Have been digging the new age footwork sound lately. 8. What is the best gig you have played so far. In terms of Sound Systems, Venue and Crowd Response? A: Cannot lock down one one, but my favorite gigs are always in my hometown venue - The High Spirits at a night that I co-host called The Local Scene. 9. What's the funniest / craziest thing that has ever happened to you during a gig? 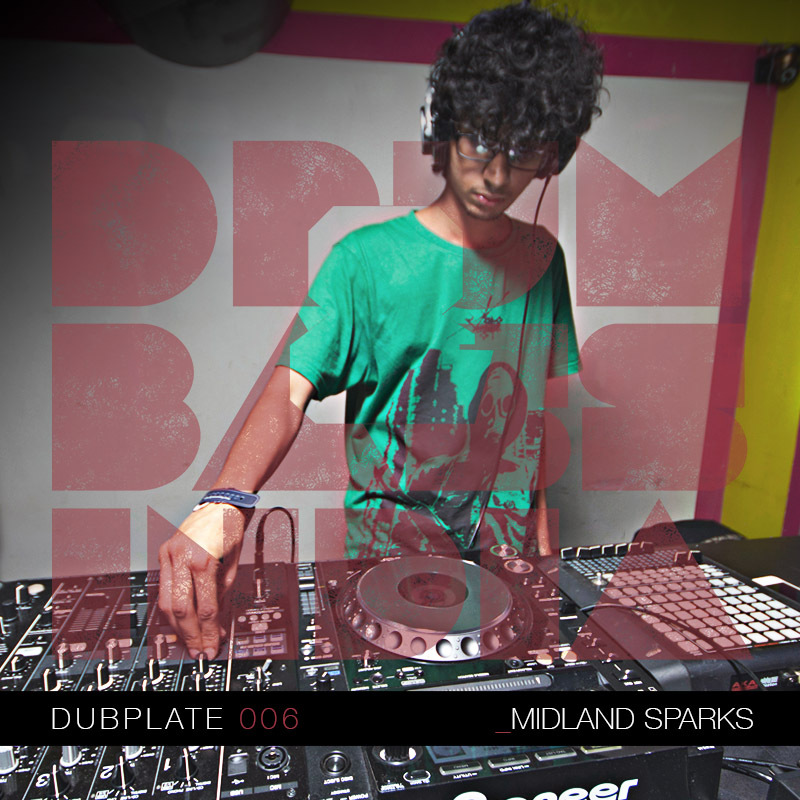 Check out the Exclusive Mix Set I did for Drum and Bass India's Dubplate.